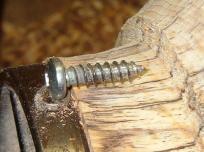 "Naturally designed to give you the edge." 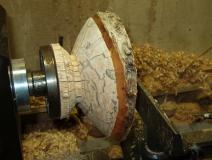 Recently I was asked on the user group, rec.crafts.woodturning, to explain how to turn a natural edged, end grain bowl. 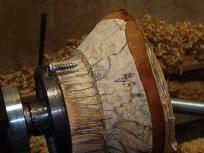 That is, a bowl with the grain running parallel to the lathe bed and the edge of the log left as the bowl edge. 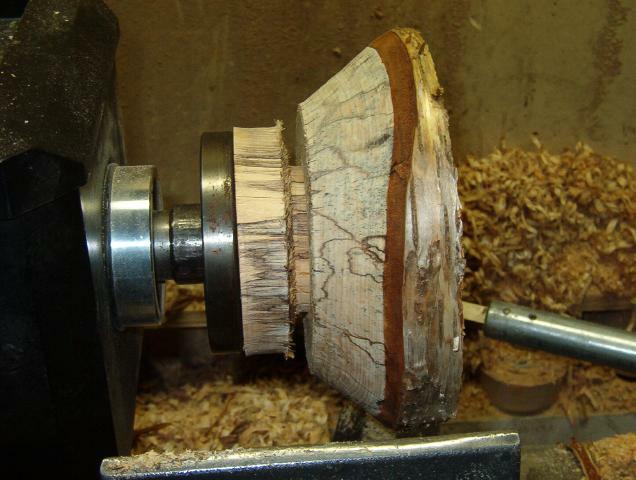 If you want a smooth edged bowl, just turn the piece round as you start. It will make sense as we go. 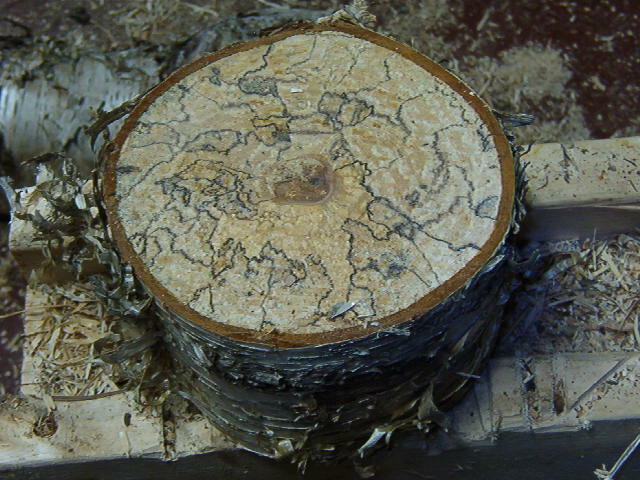 I cut a piece of yellow birch to rough out a natural edged bowl and found it to be wonderfully spalted. 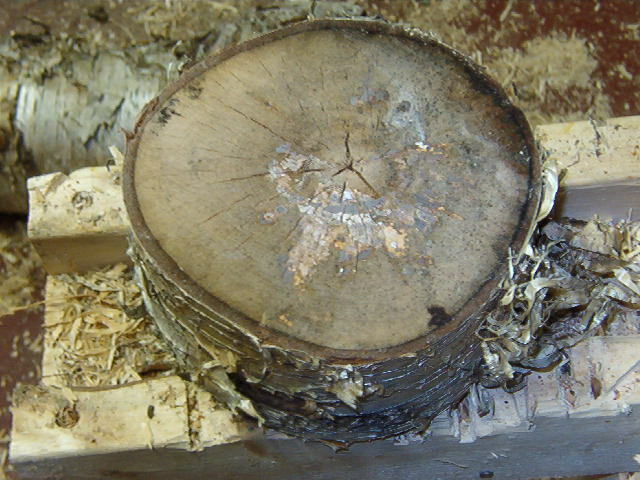 During the process I cut a slice off the end to get past any cracks. 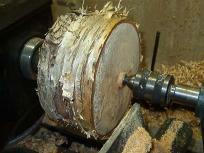 This wood is too good to waste so I have decided to use the slice for this bowl. I will have to turn past the cracks but look at the spalt lines. First I mount it between centers and flatten the end with all the cracks to receive a face plate. Note the washer on the tail stock. 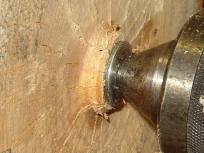 I flatten to the washer leaving a tenon the size of the washer's diameter. The washer not only prevents the tail stock from digging too far into the piece, it is also selected to be the inside diameter of the face plate. 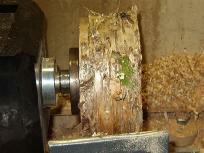 Once the wood is off the lathe the face plate automatically centers on the wood for attachment. The wood is fastened to the face plate with 1" long #14 self tapping sheet metal screws and remounted to the lathe. First I turn the wood down from the face plate to get past the cracks and to get past the screws for the anticipation of later parting from the lathe. 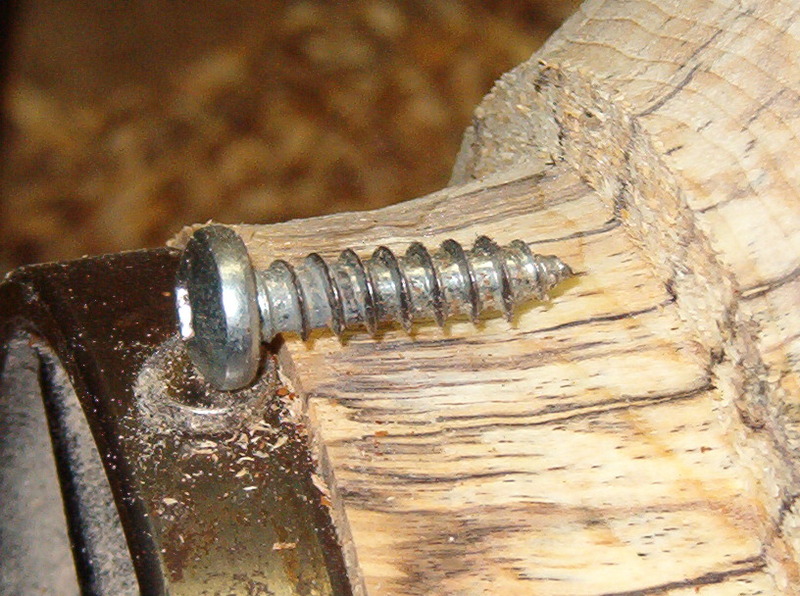 In order to be sure I am far enough from the screw tips to fit in a parting tool, I check the distance with a spare screw I keep by the lathe. 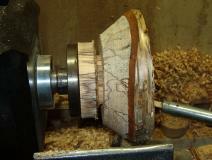 Being far enough in, I part well in to establish the desired bowl bottom. 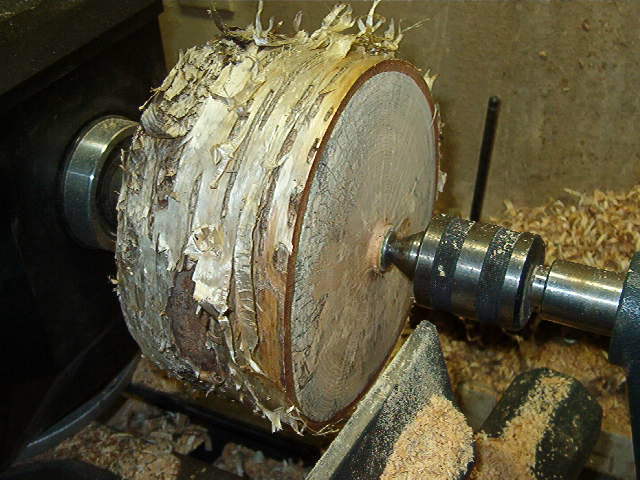 Establishing the diameter helps the eye direct the cutting lines for the final form. 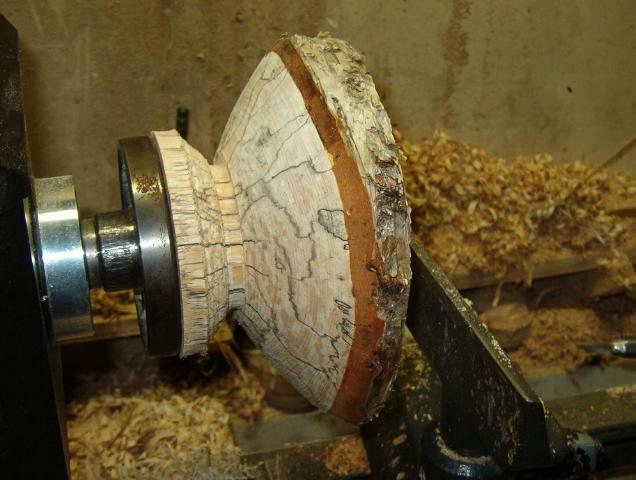 I turn the outside of the bowl. Note the wave to the top line. If you make one please let me know how it turned out.